Lecture notes and audio visual material from India module. 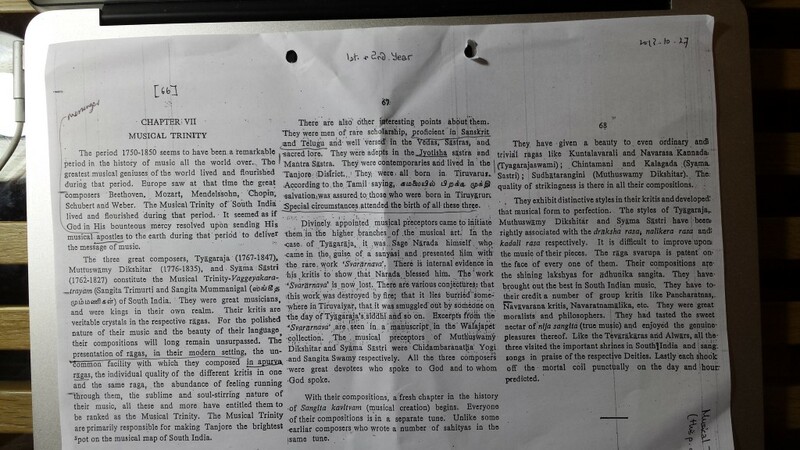 Mayamalavagaula scale that Purandara Dasa (1484-1564 CE) considered important. And since then is what students who begin music learn to master. Attributed to Kesava Dasa and Barnavri, volume 11, painting no. 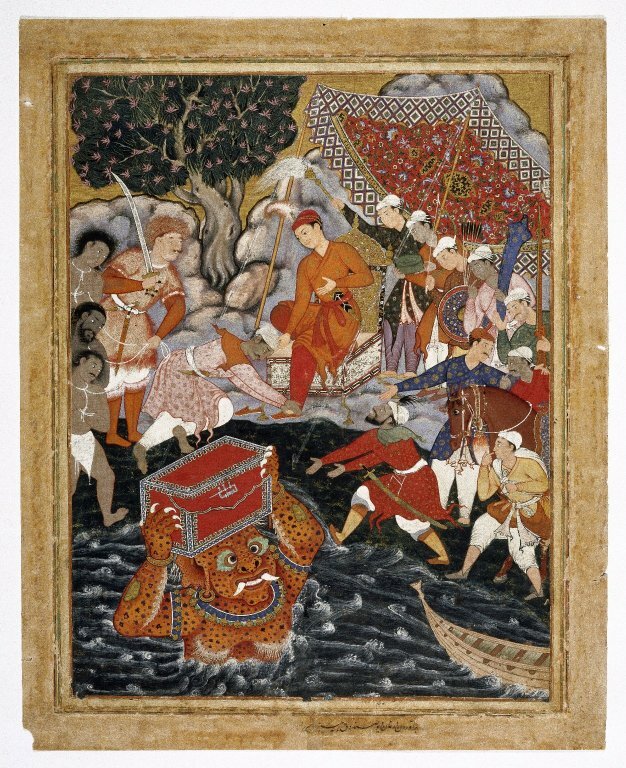 40, text number 41, India, Mughal dynasty, “Arghan dev brings the chest of armor to Hamza” dated to 1570; 67.5×52.5 cmd; folio 79.1×63.3 cmd; Brooklyn Museum of Art, Museum collection Fund, 24.47 Published: Poster et al 1994, no 22; Chandra 1989, fig 2; Pal 1983, M2; Gluck 1925, fig 48. Play captures the court intrigue and societal impact of changes wrought by Tughlaq. References the supposed murder of his father by the rampaging elephant and wooden podium that fell on him. It mentioned the change in capital from Delhi to Daulatabad and then the decision to move back. It speaks of the change from silver coinage to copper coinage and the problems the treasury faced in eliminating counterfeit coins; and, discusses some of the intrigue and difficulty in dealing with surrounding sultanates. Karnad’s second play that was an immediate success on stage. First produced in Kannada in 1965. It is a play of the 1960s and thought to reflect the political mood of disillusionment that followed the Nehru era of idealism in the country. Born 1938 in Maharashtra (close to Mumbai). At 14 in Dharwar Karnataka. BA in Maths and Statistics. Oxford PPE Masters. Chennai work. Writing. Lives Bangalore. Translated to english the play Nagamandala.